Introducing Stock "Market Moving News"
Technology Stocks, Underweight Tech Now! Mr. Douville has been in the Real Estate Business since 1974, over 34 years. He started his career during the 1974 recession in the Southwest suburbs of Chicago, where he experienced an inflationary period followed by the crash. In 1981, having experienced enough cold and snow, he and his wife of now almost 30 years moved to Scottsdale, Arizona, where for the last 25 years Mr. Douville has been associated with Realty Executives. From 1982 through the early 1990's, the Douville's executed upon their well-thought-out business plan to accumulate income producing properties. Michael now represents and consults with investors while overseeing a portfolio of investment properties. Michael has travelled extensively within Australia and New Zealand, and has journeyed on numerous occasions to the South Pacific, Europe, Mexico, Canada and the Caribbean, and of course throughout the US. 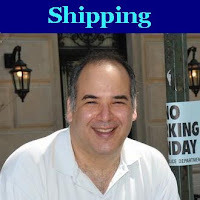 Wall Street Greek is enthused to have this strong real estate expert, with important front-line experience on board to cover the Real Estate Market for us. In this period of uncertainty, our readers deserve the steady hand Michael offers to guide them. We only have one complaint, that he's been all over Europe but NOT to Greece yet. However, I agree with Michael's view about money, that there are more important things in life. What we seek to do here at "The Greek" is to help people achieve and maintain financial security, or at least offer an interesting read. We thank Michael, and welcome his valuable contributions. Real Estate or Stocks in 2012? Inflation or Deflation? Doomsday Either Way! Is Early the Same as Wrong? Full Disclosure: Michael has agreed to Wall Street Greek policy to not author articles about securities he personally owns or holds beneficial interest in. In the event of a special case, Michael will make full disclosure of ownership or beneficial interest. The work of contributors to Wall Street Greek is their own, and may not necessarily agree with the opinion of the site or its founder, and does not constitute financial advice. 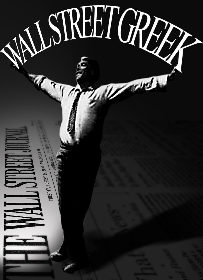 Please see our full disclosure at the site (Wall Street Greek).